Australia, now with a population of over 22 million, has had a politically volatile year at the national level but, in terms of interreligious relations, it has been a relatively productive year with some worthwhile achievements but also some frustrations. Interreligious harmony and social cohesion are entities that can never be taken for granted, and in this past year Religions for Peace has worked across Australia and in the individual states for greater interaction and understanding between the various religious traditions. The year included the ten year anniversary of the 9/11 attacks in the USA together with the two Bali terrorist bombings when so many Australians were killed – those who died were remembered in an interfaith ceremony held in St Paul’s Anglican Cathedral in Melbourne. It also included the second celebration of the UN’s World Interfaith Week – Religions for Peace Australia worked with the Melbourne Interfaith Centre and its director, Helen Summers, also a member of our Committee, to hold a special event in Queen’s Hall in Parliament House Victoria. New RfP Australia Constitution: A major part of the year has been taken up with the refurbishing of the constitution. This was triggered by the regenerated New South Wales branch in order to better clarify the organizational and financial relationship between the national governing body and the individual state and territory branches. The new technologies have allowed for better communication between the national body in Melbourne and the state and territory branches. With the anticipated renewal of the national body with representation from across Australia, 2012 – 2013 will be a transition year for the state and territory branches as they establish themselves as formally constituted branches of RfP Australia. It will also allow us to have special branches to be formally integrated into the national body. With this new organizational vision and with greater local autonomy, RfP Australia will be able to move forward to accomplish its work. It is not affiliated with any government or religious body, and works independently as a community-based organization of individuals in achieving its aims. 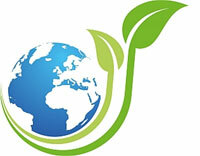 The task has allowed us to reformulate its aims in the light of changing global and Australian conditions. This has been a more than useful exercise. Leadership and the RfP Australia Committee: Last year, several new members were added to the executive. This has added vitality and enthusiasm to the national committee, and it augurs well for the future. However, Rev. Hans Christiansen found it difficult to attend meetings because of work commitments and travel distance so he was forced to withdraw. Dr Anna Halafoff as our deputy chair has also found it necessary to withdraw for family reasons and because she has recently moved to a new position at Deakin University. It was decided that Di Hirsch would be the Jewish member. In the finance area, there has been a little turbulence with the illness of Narindarpal Singh. In the meantime, Jo Elvins and Joan Daw have been acting in the treasurer’s position. With this AGM, Weston Elvins after very many years as the auditor has decided to step down from the position. His role has been critical and we thank him for his marvellous contribution. With the new constitution and the new structure, it will become important to establish a proper financial structure in each of the State branches. In the next little while, it has been approved that each branch treasurer will provide past and present financial statements in the interests of openness and transparency. Websites and RfP Australia: last year, I reported that a new website had been established. Its success has been astounding as it becomes better known. I wish to formally thank Chris Parnell as the webmaster for his outstanding work in establishing and maintaining this website. 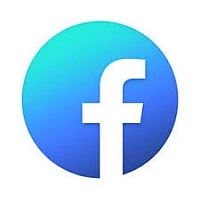 The committee has now decided that he should be partially remunerated for his daily work in maintaining the site since it has already demonstrated its usefulness. 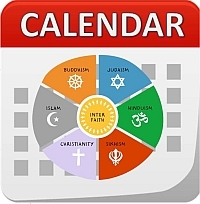 Since the website www.religionsforpeaceaustralia.org.au opened last May, in the intervening 12 months activity has gradually increased so that it has now received 95,644 hits with 58 per cent coming from Australia followed by the USA, Germany, Sweden, the Netherlands, Italy, China, Spain and Japan. The site is now receiving almost 150 hits per day. RfP Australia in tandem with the Australian Multicultural Foundation and the Melbourne Interfaith Centre had cooperated in establishing the regional interfaith website for South East Asian and Oceania nations in a project funded by the Australian Department of Foreign Affairs and Trade. Subsequently there have been some funding issues, and some difficulties in the relationship between DFAT and RfP Australia. Religions for Peace Australia now wishes to make a submission to Religions for Peace Asia whose website has not been regularly maintained for many years that the two websites (www.acrp.org and www.regionalinterfaith.org.au) be merged together and maintained at a cost of US$15,000 for 2012-2013 to be provided by Religions for Peace Asia. As part of promoting the organization, a totally new brochure has been prepared and published to replace the previous one which had dated from the late 1990s. Religious Education on Australian Schools and the RI Secretariat: Religious education in schools continues to be an ongoing issue, especially in Victoria and New South Wales. At the national level, Dr Anna Halafoff through the REENA religious education and ethics network has been very active in monitoring the situation, especially in participating in a special forum with ACARA, the body preparing the new national curriculum. After considering several proposals, including a stand-alone subject on religion, ACARA has decided to work towards including religious and interreligious matters in the Civics and Citizenship subject. This is the preferred position of Religions for Peace, and now we await to see the details of the proposed curriculum for such a subject. In New South Wales, at the end of May the special Parliamentary Committee released its report, recommending that special religious education courses and special ethics course should continue in government schools with no direct financial support and with an independent review to be held in 2014-15. All providers must post their curricula online and provide initial and ongoing training for their volunteer teachers. In Victoria where RfP Australia has responsibility for accrediting the Baha’i, Buddhist, Greek Orthodox, Hindu, Muslim and Sikh volunteer religious instructors to teach in primary government schools, things are currently on hold. A secularist group has asked the Victorian Civil and Administrative Tribunal to legally disallow the teaching of religion in schools for half an hour per week but the Tribunal has yet to give its decision. In the meantime our religious education secretariat has continued its important work. We have employed on a casual basis an assistant to help Virginia Burns, our multifaith educator. In the last six months, we have approved 6 Baha’i, 2 Buddhist, 1 Greek Orthodox and 19 Muslim instructors to teach in schools. Because of the current uncertainty over the whole situation, accreditation is being given only for 12 months. Also all the instructors are being asked to renew their “Working with Children” police checks. The problems with the textbook used by the Islamic Council of Victoria and its Arkan Toledo education body have not been satisfactorily resolved, and the Council has asked the Minister for Education to have independent status. The Minister is yet to approve this. World and Regional Assemblies: A considerable amount of work was put into preparing a Sydney bid to stage the next regional assembly of the Asian Conference of Religions for Peace. However, it was calculated that it would cost an additional $1,100 per funded delegate in airline and accommodation costs; this would have meant raising an additional $100,000+ which was seen to be beyond the capacity of the interfaith movement to raise. However, next March in Melbourne, Monash and RMIT Universities in association with Harvard University will stage the World Model United Nations Conference, the largest international student conference – it is hoped that the program can include an interfaith event. 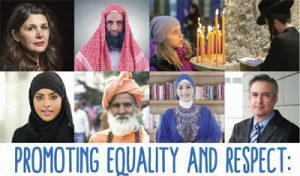 International Links: RfP Australia continues to be the major international organization working with overseas interfaith partners. The chair represented the organization at the annual executive meeting of the Religions for Peace Asia held in May 2011 in Kuala Lumpur; the next one will be held next week in Seoul where the chair will present the suggested theme for the next regional assembly, “Virtues and Values for a Peaceful Asia”. Religions for Peace International asked Australia to sponsor a young member to attend the youth forum of the ASEM (Asian-European Summit Meeting) in Manila in February – we sponsored Nivy Balachandran, a member of Interaction: the Youth Interfaith Network. This has strengthened our links with this youth group led by Rev. Freeman Trebilcock. As well, an RMIT student enrolled in the B.A. (International Studies) at RMIT University has been completing her international placement at Religions for Peace International at the UN Plaza in New York – she has expressed a desire to be an observer on the RfP council. The chair gave the keynote address at the “Religion in Society” Conference in Vancouver in February on Religious Diversity in a Post-Secular World: Its Governance in Multifaith Societies. State Links: The State bodies have continued their work. 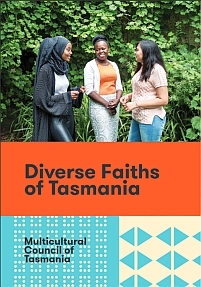 The Tasmanian branch under Terry Sussmilch has been active, including sponsoring an interfaith seminar in December to commemorate Human Rights Week. The NSW branch has continued its re-growth under the firm leadership of Josie Lacey with their bimonthly meetings in Sydney’s Parliament with special speakers and prayer services. The Women’s Interfaith Network with five branches continues to organize fora where women can express their faith commitments in a sharing and learning process. It is the leading women’s interfaith network in Australia. The South Australian interfaith organization continues its work with an annual interfaith symposium, led last year by Stephanie Dowrick, and in April it held a symbols day in which faith leaders explained their religious symbols. 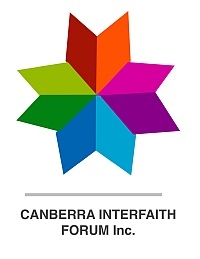 We are now growing our links with the Canberra interfaith organization. Some very slow progress has been made to establish a branch in Western Australia. In November, the chair gave the keynote address at the National Social Cohesion Conference at the University of Sydney sponsored by the Affinity Foundation entitled, From 9/11 to Breivik: Responding Nationally and Transnationally to the Challenges of Diversity and Social Cohesion. RfP Australia continues its membership of APRO (Australian Partnership of Religious Organizations) and the Victoria Police Multifaith Advisory Council. For the first time, the executive committee has its first meeting via phone link. This was relatively successful and gives us the knowledge that a more nationally focussed body can successfully function whereas up till now it has always been dominated by its Victorian centre. I want to thank all the executive members across Australia for their support and great work. Over the next few months, I want to again formulate a concrete action plan to ensure that our very limited personnel and financial resources are well-used. Everyday, both nationally and internationally, religion continues to figure very prominently in many and varied ways. 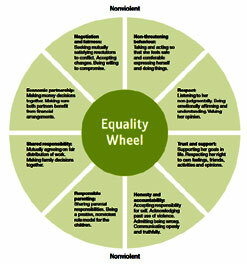 Our work is important and is part of building a multicultural and interfaith society. Leadership is done in groups and with groups. I thank our hardworking secretary, Sue Ennis, very ably supported by Jo Elvins and Joan Daw together with Narindarpal Bhalla Singh. I am more confident than I was two years ago about the future of Religions for Peace Australia.